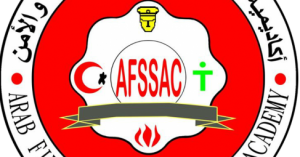 Arab Fire , Safety & Security academy offers hazardous materials awareness training course. This hazardous materials awareness training course is a developmental program in fire-fighting . Who should take this hazardous materials awareness training course ? Personnel working in safety, fire-fighting and responding to hazardous materials incidents. Everyone deals with hazardous materials in the manufacture process , operation , storing , moving , circulation. Also in production lines, warehouses and stores of hazardous materials within the industrial and petroleum facilities . Providing the first responder to hazardous incidents with required information and skills to be able to accomplish his tasks in dealing with incidents of hazardous materials . Identify the physical and chemical properties of hazardous materials. Safe handling (transportation, storage, use and handling) of hazardous materials. Distinguish hazardous materials through international labels. Specify the degree of seriousness of (ignition – public health – toxic – oxidation) of hazardous materials. Apply procedures that must be followed when exposing to hazardous materials. Implement methods and ways to prevent the risk of hazardous materials. Clarify the tasks of first responder of hazardous material incidents to perform the tasks safely. Realize the presence of hazardous materials in case of emergency. Survey the scene from a safe site to see the name and the international number of hazardous material in the incident by signs and posters. Compile information about the risks of the hazardous material through the use of emergency response guide (ERG). Start preventive procedures contained in the emergency response guide. Start to notify about the incident. 1- Definition of hazmat . Second: The characteristics that determine the risk of fire. Third: The characteristics that define interactive risk. First: (704) system issued by the NFPA. Second, the United Nations system UN. Third, the system prepared by the DOT in the United States. Unofficial formalism methods to identify hazardous materials. Official methods to identify hazardous materials. Identification of hazardous materials in fixed places. Identify containers in factories and their types. Identification of hazardous materials in transportation accidents. Identification of hazardous materials by transportation containers. Recognize the signs of hazardous materials. 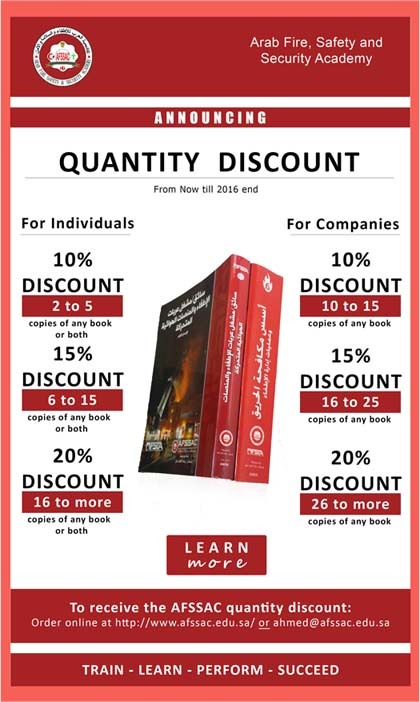 – Each trainee passes the course, gets a certificate from the Arab Fire, Safety and Security Academy, locally approved by the Technical and Vocational Training Corporation and internationally approved by the World Congress of Safety and Fire Services IFSAC. * Duration of the program: two weeks (10 days) – five days a week -60 training sessions (40% theoretical 60% practical). Program type : developmental program .